Random police DUI checkpoints in Georgia have only become the subject of dozens of appeals over the last 60 years. 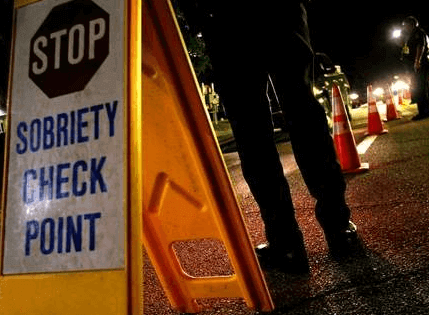 Sobriety or DUI checkpoints are presumed to be unconstitutional until and unless the prosecutor (and the police he or she represents) can prove that the roadblock is legal. 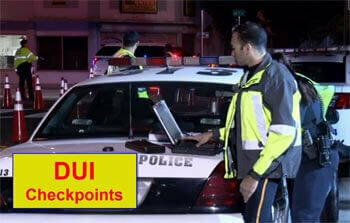 To answer the question, “Are DUI checkpoints legal?” the answer is MAYBE. The job of any top DUI law firm and their skilled criminal defense lawyers is to look at every possible angle to have the DUI roadblock or the subsequent drunk driving arrest declared unconstitutional. Our Atlanta attorneys have proven (through experience) that this is the best way to beat a DUI in Georgia. Our Atlanta criminal defense attorneys are all DUI specialists. We have handled hundreds of roadblock cases in GA where drivers did not anticipate “checkpoints near me” on their way home. 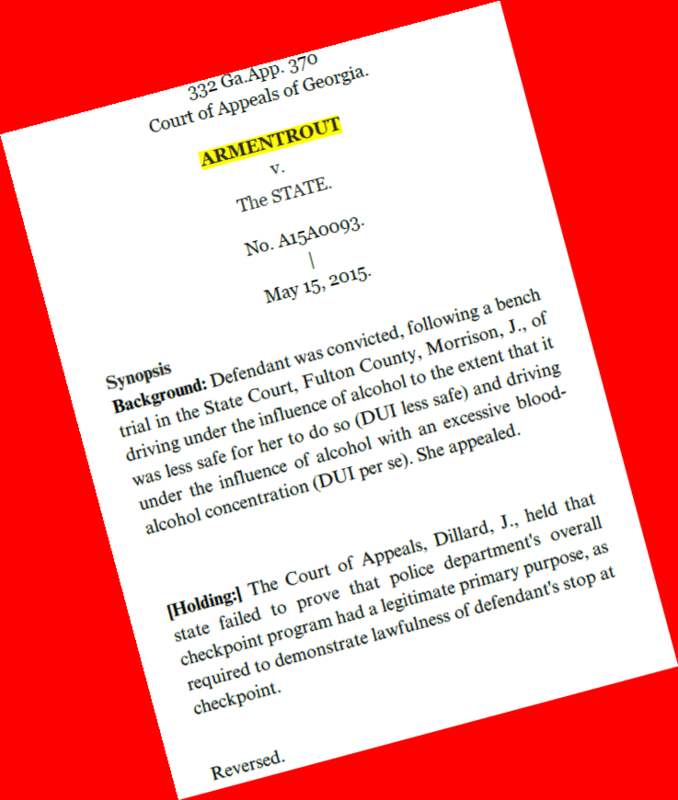 The following descriptions of key Georgia roadblock cases will help explain checkpoint laws. These cases will be especially useful if your traffic arrest was made at one of these DUI checkpoints. Evans v. State (1989) – The gist of this case was that a court will look at the “totality of the circumstances” to determine whether drunk driving checkpoints are constitutional. (Court of Appeals). 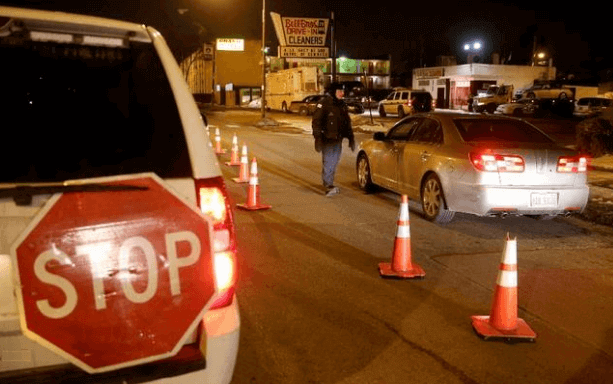 Blackburn v. State (2002) – For a drunk driving checkpoint to be legitimate and constitutional, the State (prosecutor) must prove that supervisory officers approved of the checkpoint location and screening protocols. (Court of Appeals). LaFontaine v. State (1998) – This was an appeal handled by Atlanta DUI lawyer William C. Head. By a 4-3 vote, the Georgia Supreme Court erroneously upheld a two-officer, impromptu Georgia State Patrol roadblock. This roadblock would have been determined to be illegal if the U.S. Supreme Court had already decided City of Indianapolis v. Edmond (2000). Did supervisory personnel make the decision to implement the random sobriety checkpoint? Did officers stop ALL vehicles, vs. picking out some and letting others go without screening them? Was the “identification” of this safety checkpoint indicated for unsafe drivers (e.g., signs, officers on foot with reflective vests, flares, cones, blue lights, etc.)? Was the delay for approaching motorists minimal? Can I Turn Around or Avoid a Sobriety Checkpoint? Jorgensen v. State (1993)– This case dealt with a turn by a vehicle into an apartment complex shortly before the driver reached the DUI checkpoint. A subsequent “chase” car was sent by police. Jorgensen explained that he was going to visit a friend, and was not evading the roadblock. The police had no evidence to the contrary. The illegal seizure and detention of this driver, who committed no traffic offense, led to Mr. Jorgensen’s drunk driving arrest being dismissed for a Fourth Amendment violation (Georgia Court of Appeals). After this case, police in Georgia have learned to select a police checkpoint location that has no alternative turnoff streets or driveways to permit a motorist from escaping. State v. Hester (2004)- The driver saw blue lights ahead and decided to make a U-turn to avoid being delayed. A chase car was sent to pull over Hester, and he was arrested for DUI. The trial judge ruled that the maneuver by Hester to turn around prior to the sobriety checkpoint location was a “legal” turnaround. Hence, the chase down and subsequent arrest was a violation of the U.S. Constitution, Amendment IV (Georgia Court of Appeals). The DUI was dismissed. State v. Ayers (2002)– Testimony at a pre-trial motion hearing on a drunk driving checkpoint can be the government’s Achilles heel. 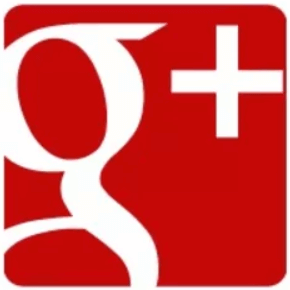 This was another drunk driving roadblock case (in Doraville, GA) handled by DUI lawyer Atlanta William C. Head. The supervisory officer (Sgt. McElroy) testified that he approved the checkpoint for the “primary purpose” of checking the driver’s license. However, the arresting officer’s sworn testimony indicated that the roadblock purpose was “general law enforcement” and not merely to enforce Georgia DUI laws. Both the trial judge and the Georgia Court of Appeals ruled that this violated the Fourth Amendment (GA Court of Appeals). The Prosecutor appealed because several other citizens represented by Mr. Head and other DUI law firms were also stopped at this same Doraville Police Department checkpoint. All of those drunk driving arrests were later thrown out due to this DUI checkpoint not being legal. Brown v. State (2013)- The Georgia Supreme Court reviewed a Court of Appeal reversal of the trial judge’s ruling (based upon non-compliance with City of Indianapolis v. Edmond) stating that in every drunk driving checkpoint a “traffic safety” primary purpose must be shown (e.g. license checks, sobriety checkpoint, seat belt use, and proof of insurance). PLUS, the case clarified that decisions of when and where to implement a checkpoint must adhere to a written, published set of protocols. Armentrout v. State (2015)- Following the rulings in these important cases, Mr. Head was hired by a mother of three who was stopped on July 4th, 2014 by Johns Creek, GA police. Despite a breath alcohol reading that was almost three times the legal limit, this case had to be dismissed after the Fulton County State Court judge failed to follow the holdings of the Brown and Williams cases. When presented with a Fourth Amendment motion to suppress, a trial judge cannot simply “assume” that a police department’s written guidelines were adequate and complete. In a case handled by William C. Head, the State (prosecution) had this burden to bring the pre-existing written protocols and have a supervisory officer testify to issues relating to whether these “programmatic level” guidelines had been in place BEFORE the DUI checkpoints were established. At DUI Checkpoints, Will I Have to Take a Breathalyzer? So, you should follow advice from a criminal defense attorney to remain silent at a Georgia license check, turn over your driver’s license and other requested documents to the checkpoint screening officer, and only give your name and address. You can ask for a DUI attorney, but the Georgia Supreme Court has ruled that when a DUI investigation is being conducted, you have NO RIGHT to contact a lawyer (or anyone else). Therefore, you only HELP YOURSELF at a sobriety checkpoint by keeping your mouth shut, being polite, not resisting arrest, and following the rest of Mr. Head’s advice about TAKING the official test (after arrest). But at that point, you should demand your own independent blood test. You do, however, need to PAY for this independent test yourself or call a nearby family member or friend to bring you the money. Is Taking a Field Sobriety Test at a Police Checkpoint Required? 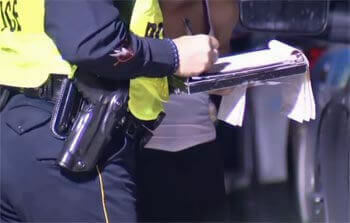 Trained DUI officers, like the ones at a sobriety checkpoint or a Georgia license check, are usually trained in courses that teach them how to get you to COMPLY with their commands. Many YouTube videos show outrageous, irate, and demanding police officers at random roadblock safety checks. Watch a few of these videos so that you can be prepared for such tactics if you are stopped at a police roadblock. 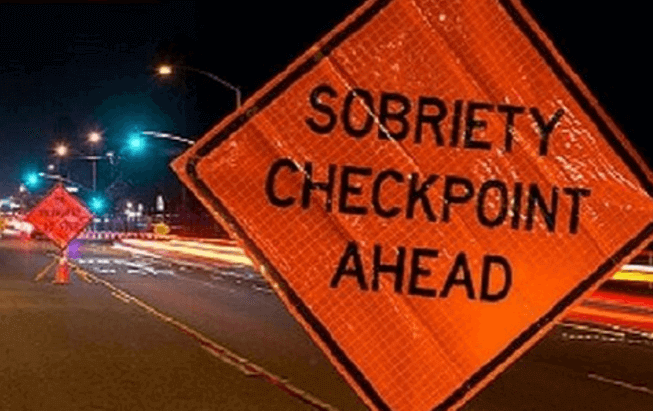 This information on Georgia DUI checkpoints was provided by DUI defense attorney William C. Head, DUI defense lawyer in Atlanta, GA. Contact Mr. Head or his partners, Larry Kohn, or Cory Yager, about receiving a FREE professional DUI case review. Mr. Head and Reese I. Joye, Jr., authored the first drunk driving book written on how to beat a DUI, entitled 101 Ways to Avoid a Drunk Driving Conviction, in 1991. Mr. Head is also Board Certified in DUI Defense. Atlanta lawyer Bubba Head is the co-author of the definitive book on Georgia DUI laws published by the world’s largest legal book publisher, Thomson-Reuters (formerly West Publishing Company). Both partners, DUI Attorney Atlanta Cory Yager and Larry Kohn, DUI defense lawyer in Atlanta, are now authors of chapters in national drunk driving trial practice books. After being arrested for DUI in Georgia, the first thing to do it identify an expert on Georgia DUI law through top attorney ratings. Look at who is BEHIND the law firm, review each of the trial lawyers’ credentials, and check out the criminal defense attorney who leads the law office. Every experienced criminal defense attorney in the law firm must have full command of DUI laws and possess training in all aspects of successfully challenging the driving under the influence criminal case. The best DUI attorneys in Atlanta, Georgia will offer you a FREE consultation, explain how their criminal attorneys search for a successful defense in your case, and aggressively represent clients to the maximum extent the law allows. Limit your search to DUI defense attorneys who have legitimate lawyer ratings and a history of proven results on knowing how to beat a DUI. If we are the criminal defense attorneys for you, ask us about our attorney payment plans.